One of the thing that surprised me during my stay in Chile was that the news would show the weather forecast for Antarctica. The reason for this is that Chile claims a piece of Antarctica as Chilean territory. So naturally, they would report the weather for it just as they would any other part of the country. The Chilean Antarctic Territory covers 1,236,000 km² and stretches south of the 60th parallel down to the South Pole. 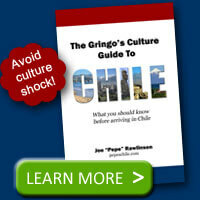 Chile has a permanent village, Villa Las Estrellas, which averages about 100 residents year around. This village has a church, school, post office, and bank, among other services. According to the Chilean argument, its claim to the Antártica Chilena Province is as old as Chile itself. The Tordesilhas Line established a west/east division of colonial territories between Portugal and Spain. On the first organization of the new conquered territories, Charles V, ruler of the Spanish Empire assigned to Pedro Sancho de la Hoz control over Terra Australis, which included the Southern part of South America, Tierra del Fuego Archipelago, and all southern undiscovered territories (Terra Australis Ignota). This gobernation eventually merged with other territories in the Captaincy General of Chile. Chile’s Antarctic claim is disputed by many international countries, some of which also claim parts of Antarctica. Chile was an original signer of the Antarctic Treaty establishing international standards for regulating Antarctica. For us chileans, Chile extends to the south pole. 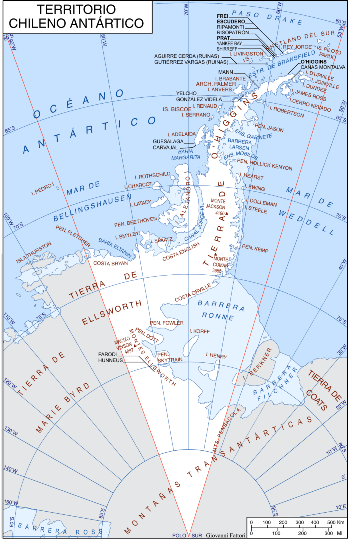 I am the author of the map “territorio chileno antartico” for wiki commons (public domain). I was in Antarctica in 1989 when a was 16, for me it was the beatyful and wondelful part of my country ever. 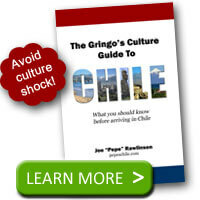 Nice website about Chile! @Giovanni – Thanks for creating a great map of the Chilean territory. I haven’t been to Antarctica yet, but would love to visit! This another living proof of the irrational Claim of the chilean. According with the Antartic Treaty no country is allowed to make territorial claims. If they obey the treaties as they praise themselves, this is a contradiction and Flagrant violation of such a treaty. For many years since their independence Chileans have lived very unhappy with their share of territory in the continental South america. That explain why under the direction of Great Britain they started an expansion war under bogus claims and stole territory from Bolivia and Peru. Ever since Bolivia got land-looked. Now in this Century consistent with their COUNTRY_PROJECT they continue with this irrational claim of Antartic Territory as we all know there is no such a thing TERITORIO ANTARTICO CHILENO. That’s what the Treaty says. It doesn’t recognize nor deny any claims, so all countries at the time of signing are free to keep pretending to sustain their claims, as long as they don’t try to enforce them on third parties. It’s worth to note that not only Chile, but also Argentina and England have a “claim” over portions of the territory shown on the map on this page. I am unsure if other countries do too. This answer goes to Anibal Rendon. I am a proud Chilean from British and Irish heritage. I was born in Valparaiso and my Dad, Grandfather and Great Grandfather have fought and lived by the Chilean Navy. Your claims are totally wrong and out of proportion. we have never stolen land from Peru and Bolivia. The Treaty for land dispute was sign by the independence of Chile in 1818. with legal accord with its neighbors they had a hard time disputing the lands of nitrate in the north of the country in the frontiers with Peru and Bolivia. So Bolivia declared war to Chile but also for the reason that Bolivia wanted a gap of ocean as well. Peru joined in to fight against Chile uninvited. and we won the war against both countries and took ever farther north land for us. In regards of Antartica, it is logical that the closest country to the peninsula has the right to claim it. not all of it. but a descent territory as the one we own today. we were there before the British and Argentinians. And whoever says the contrary is just trying to mislead or is jealous of our right owned land. it is part of our legacy. part of our country, and part of our blood.